I absolutely love being able to walk out my door, pick a bunch of fruits and vegetables, go back inside and make something delicious. Sometimes it can be as simple as a kale smoothie, and other times it can be as complicated as homemade tomato sauce and eggplant parmesan. 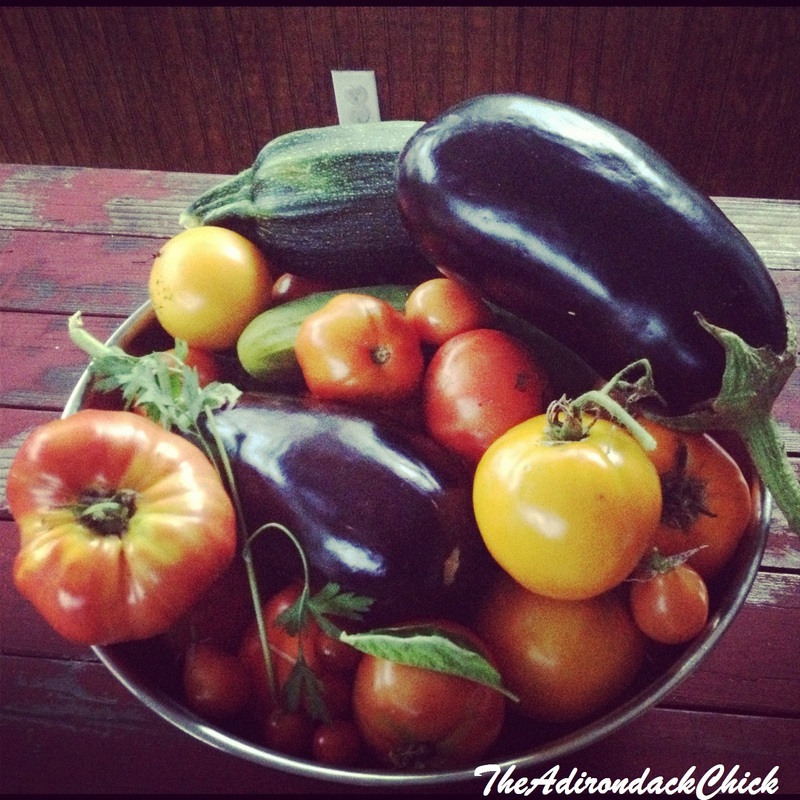 This weekend, I picked several large stainless steel bowls of tomatoes, basil, eggplant, cucumbers, peppers and parsley. Seriously, how awesome does that look?! It makes me smile just looking at the photo. What came after, however was one of the best meals I have ever made! 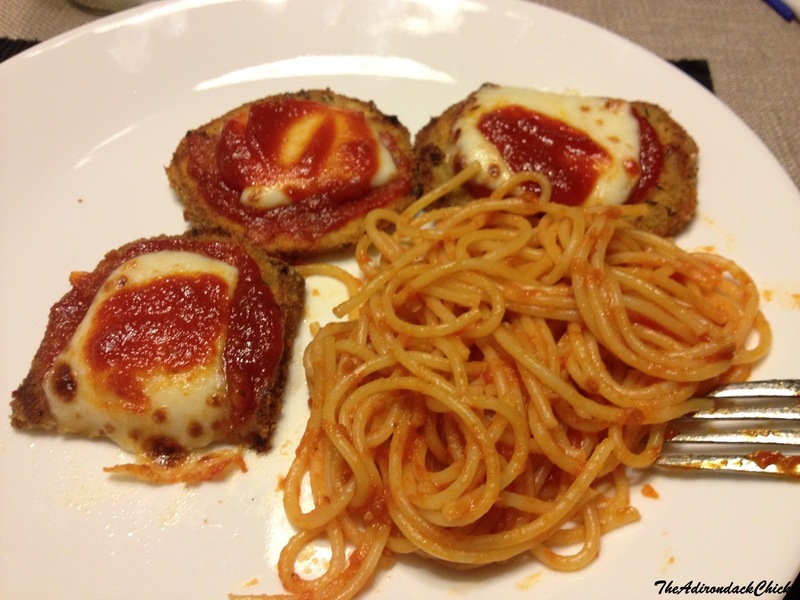 It was eggplant parmesan with homemade tomato sauce made from a combination of Adirondack and Jersey tomatoes. So good! I tried a different technique than I normally do, and I am never going back to the old way. And, don’t forget dessert, which although didn’t come from my garden, was fresh made by bakers at the Glens Falls Farmers’ Market — and were gluten free. 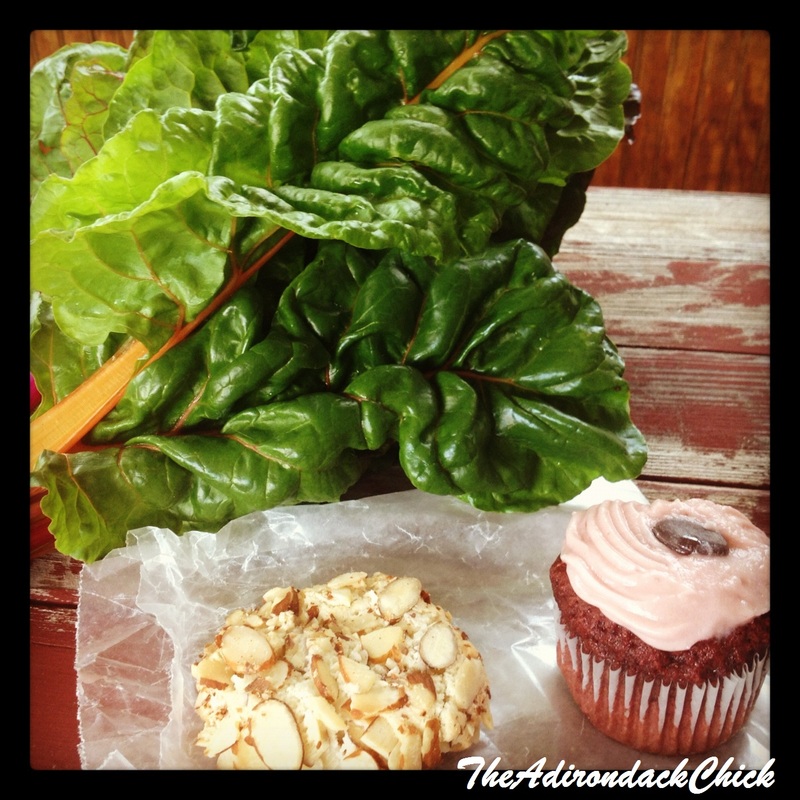 The cupcake was even made from local beets! (Don’t mind the swiss chard … it’s for a soup I’m making this week.